Who will represent Japan and Korea? Ah, the final week. Everyone in teams contesting J. League and K-League championships have to be sure they are healthy up to the kick off time. That’s including minding where is the aftershave bottle and make sure that the meals they were eating have positive agreement with their bowels. Start with the easier, Korea. Jeonbuk, Pohang, and Seongnam have got the tickets to next year’s ACL. Just like a good K-League season should be: leave nothing to Suwon & Seoul. Meanwhile, Ulsan…well, Ulsan have beaten both aforementioned team, plus Pohang for good measure, and will face Jeonbuk this Sunday in the K-League Championship. So it’s decided: Lee Dong-Gook, Kim Jung-Woo (welcome back, soldier), Mota, Kim Dong-Chan, Eninho, and Seol Ki-Hyeon will fight for the Korean revival (this year’s loss to Al-Sadd is too much) in 2012. Unless they are transferred out. Except if they are transferred out to another ACL competitor from Japan or Saudi Arabia. Or Qatar. What matters most for me in this year’s FIFA World is for the Japanese champions to reach semi-final match against Santos and to win the Third Place match against Al-Sadd ES Tunis. Who are the most fitting firm to pounce Auckland City 5-0 before handing down a devastating 2-1 defeat to Monterey and to prove that CONCACAF is ALWAYS below AFC? Three clubs answer the call and they are only one point separated between them. Kashiwa Reysol have 68. 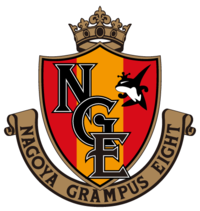 Nagoya Grampus have 67. Gamba Osaka have 66. Marinos, having a good year, are 12 points below Gamba. So three out of Japanese representatives for ACL 12 are already determined. Fourth place goes to Emperor Cup’s winners, which will have its fourth round next month after Club World Cup 11 is over. Kashiwa have it tough – they will face Urawa, the former Asian Champions now in the danger of going down to J. League Division 2. Which means that the good people of Chiba will be happy to ensure that the good people of Saitama will see Tatsuya Tanaka becoming the top scorer of D2 in 2012. Nagoya will also face Albirex Niigata in the northern country. Bruno Lopes is not Josh Kennedy nor Keiji Tamada, so Nagoya will also be victorious. What about Gamba? They have the toughest matches of all the championship hopefuls – away trip to Shimizu. Even as Korean Lee Keun-Ho can save the day, both Gamba and Nagoya have to rely on a simple fact: That Urawa will defeat Kashiwa. Urawa will do it for sure so that they will survive in the Division One. Which team has the right to represent Japan in the Club World Cup? I choose Nagoya. I want to see all the hottest Japanese representatives in Toyota and Yokohama: Fujimoto, Tamada, and Nagai. And of course, one of the best striker in Asia this year: Josh Kennedy. Or maybe that I always had soft spot for Nagoya, the city often forgotten behind the Kanto-Kansai duopoly. Anyway, India just got pummeled 0-5 by Zambia in Goa. I’m yet to discover how do Asian football fans in Japan and Korea think about “international breaks”, where league fixtures are interrupted by back-to-back international matches. For nations such as Portugal and Turkey it was still the first half of nervous minutes, while for teams like England and Wales it was pessimism turned into joy. Unless if the next encounter next Tuesday brings another disappointment. It was also a tour of duty for both teams – a stay in Western Asia for South Korea and the wonderful trek of Stalinist (well, you can argue that about Uzbekistan – they still have hideous statues don’t they?) Asia for Japan. But the mission to qualify for the fourth round has been accomplished, at least for Japan. It was good to see Lee Keun-Ho scoring again, while Havenaar was still so so. As for Australia, well, Oman are really the pebbles in their shoes, aren’t they? It was just like Bangkok 07 again, and back then there was Cahill to save the day. Kennedy (and Holman) weren’t that heroic. I’m looking forward for Singapore v China, while Jordan needs another test against their newfound awesomeness – 9 goals to 1. Regarding Group E, I’m not sure which I hate more – Iran (obvious), Qatar (because of 2022 and Al-Sadd), Bahrain (where Peter Taylor said he’s never heard of anyone called A’ala Hubail), or my own country Indonesia, where the new idiotic regime that is running the football association (even much worse than the previous one) arranged 38 year old Hendro Kartiko (no offence to Mr. Kartiko, but he’s ain’t van der Sar) to guard the box. To my surprise, last weekend I supported Qatar just so that that new arrangement could be proven ********. The current name is in A-League is Albanian Besart Berisha from Brisbane Roar. Regarding the continuing A-League, anyway, I wonder if Nick Carle and Archie Thompson still deserve a place in the Socceroos – and if Ryan Griffiths is worth it. Anyway, Australia don’t need to replace Osieck yet. Such is the reality of Asian football – you’re not everything. Something that Japan ought to remember at every match. This morning, at least two Asian-American footballers have been playing for their clubs in the MLS Cup Conference Final. Chinese-American Brian Ching led the strike for Houston (failed to score, while his Honduran sub Costly did) and as I’m writing Filipino-American Nick Rimando is tending (heh, classic American term) Real Salt Lake’s net. Hope they’d meet in the final, where somebody has to lose. O yeah, the ACL Final. Jeonbuk got the home advantage. More than 40 thousands were actually care. Lee Dong-Gook was fit enough to play and there was a chance he didn’t have to intervene. AND YET THEY STILL LOST. I don’t know what really bugs me. The poor finishes, or that Al-Sadd have the knack to beat Korean teams in their turfs, or Lee Jung-Soo is that good, and what makes him good is that he doesn’t play in the K-League (one reason for the racket scandal is that K-League players are underpaid), or Jeonbuk is neither The Losers or the A-Team (only Seo Jung-Jin is called for next week’s World Cup Qs), or that I have to root for any team against Al-Sadd next week and hoping them to do better against the perfidious African trio. Or the worst case: The ACL is not worth it. Japanese teams (and probably fans) are once more ignoring the League some years after winning them back to back, and Korean teams and fans are probably too. Suwon didn’t chase their case against referee Malik Abdul Bashir for allowing a goal condemned worldwide (except in Qatar, the Middle East, and probably Senegal. Not really sure about Japan). Certainly non-Mad Green Boys fans of Motors showed up and showed their supports, but it didn’t happen before the finals (was it simply because the final was on the weekend?). I’m still pondering if an Asian outfit are the elite, the all-stars, the great team of Asia. Certainly that’s not happening. Not Gamba Osaka or Kashima, not Jeonbuk or Seongnam (which is too creepy to be liked, anyway), not Adelaide United, not various teams in Saudi Arabia. I know this is not only the case in Asia – same stories are happening in South America, Africa, and CONCACAF (well MLS have attracted better names, but in the Champions League they are still struggling). Better leave it right there. Congrats to Lee Jung-Soo and best of effort for Jeonbuk in the K-League Championship. Big break for Japanese and Korean leagues. Their final rounds will resume after matchday five of WCQ, including Japanese big match against North Korea. The A-League, tho, will still be in play next weekend, since only three A-League players are on duty against Oman & Thailand: Kewell (Victory), Nichols (Brisbane), and Emerton (Sydney). Australia also have same amount of players coming from J. League – Kennedy, Brosque, and Spiranovic. In Europe, Park Ji-Sung and Ji Dong-Won faced each other (not many times since they were both attacking) as Ji came in as early substitute to replace injured Connor Wickham. Kagawa played great part in Dortmund big 5-1 against Wolfsburg (both Koo and Hasebe were on bench) and Hajime Hosogai scored in Augsburg 1-2 defeat to Bayern Munich (Usami was again not used).